Fell off the blog boat for a while there, due to the studio move and two jobs that had to be run as soon as I got the press into the new space. So, a bit of an update now that things have settled into place a bit. Moving day was a long day but eventually everything got where it needed to go. First stop was out to my parents’ house where I had been stashing a 16″ Challenge cutter in their garage for the last month. It’s a heavy piece of equipment but the lift gate on the truck made short work of loading it up, and I headed to the distillery for the rest of the move. Getting things packed up at the Distillery went pretty smoothly thanks to help from Bob, Scott, and Jarrett. 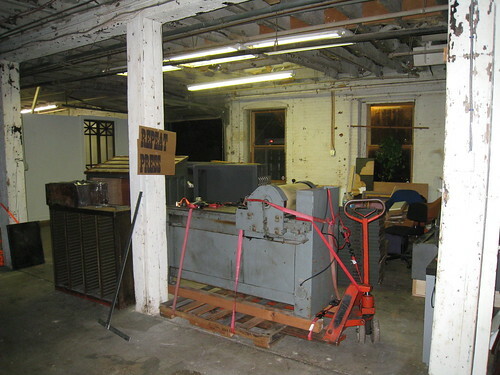 A bit of muscle was needed to perform a “Tokyo Drift” on the pallet jack to get the press into the small freight elevator but everything else was packed up and tied down in the truck and after several hours of trips up and down in the elevator I headed across town to the new space. 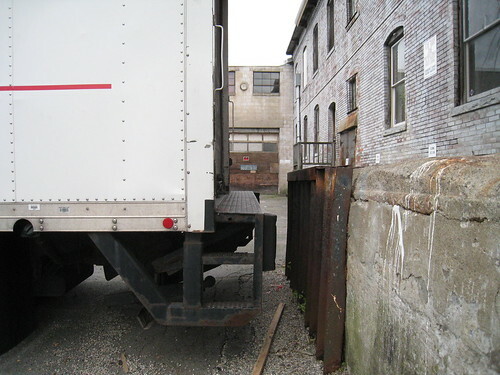 When I got to the building in Somerville I realized that the loading dock was about a foot higher than the back of the truck, something I had not thought to measure ahead of time. 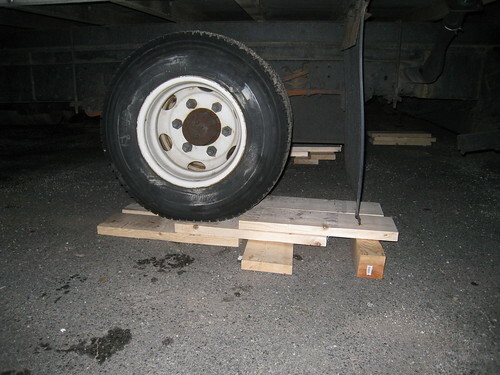 A quick trip to home depot for some 2×8 boards allowed me to build some stairs/ramps to back the truck up onto, and with the help of Mike we were able to get things lined up with the dock plate in place. 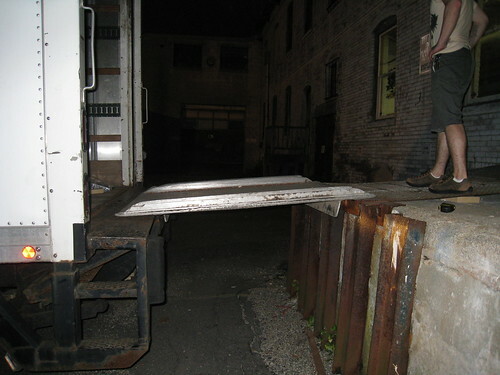 In addition to being higher than average, the loading dock also slopes upwards into the building after a few feet of flat, so we decided to call our roommate Brian for an extra bit of power getting the press up the ramp. 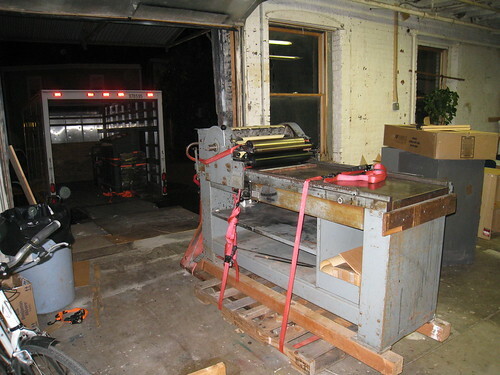 Curses were uttered, Mike’s life flashed before his eyes, shirts were torn by bulging muscles, and 1500lbs of steel was slowly rolled up the ramp and into the space. 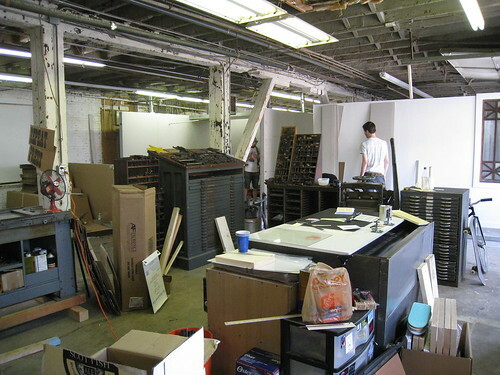 Over the next few days, things were moved into their appropriate places and the studio began to take shape, and then it was quickly to work as soon as things were orderly enough to print. 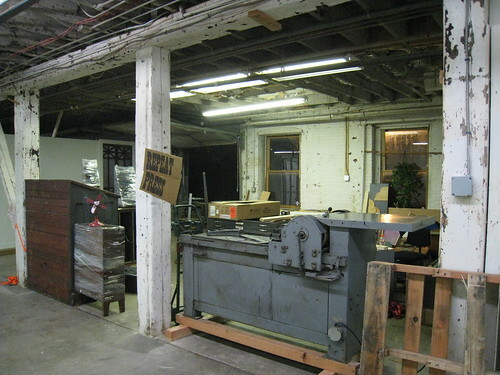 As you may have noticed from the front page of repeatpress.com, there’s a studio move coming up soon. I’m very excited to announce that Repeat Press will be moving to Union Sq, Somerville as a part of a new design-oriented collective space called The Fringe Movement. 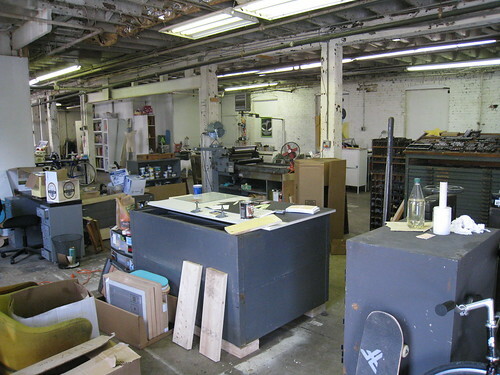 My hope for the new space is to continue expanding on custom printing with an emphasis on unique projects and quality design. 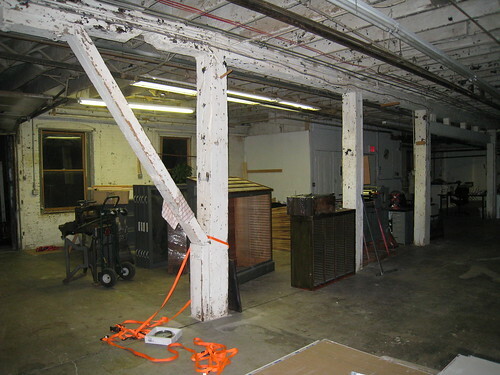 I’ll be updating progress on the move and buildout of the new space as it happens, so stay tuned. 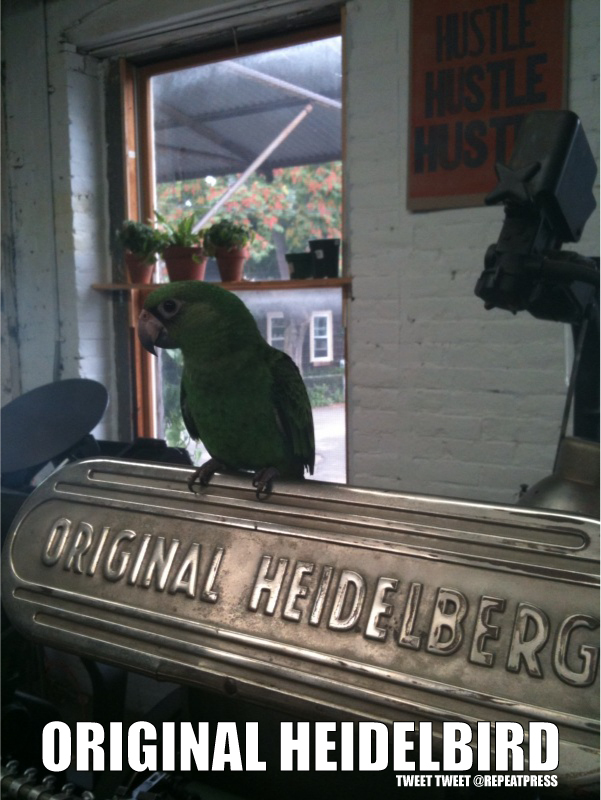 Big news for today and the first large item moved into the space was a new (to me) set of flat files that I scored for free! Off to a good start.